26 August 2016 – We’re pleased to announce our inaugural scholarship for students accepted to study at UK and US business schools. The new scholarship programme will sit alongside the lending for MBAs that Prodigy Finance has operated successfully since 2007. The new scholarship programme is open to all of those who use Prodigy Finance to help fund their postgraduate degree, and will provide five students with $20,000 in funding towards their studies. There is no formal entrance requirement, except that students must be studying in the US or the UK, and must have accepted a Prodigy Finance loan. 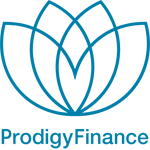 Prodigy Finance will assess scholarship candidates by scoring them on a combination of academic aptitude and financial need. Only one scholarship will be awarded per academic institution. is this scholarship available this year?